Michael J. Barga works with formerly homeless individuals and families as a case manager for Montgomery County Coalition for the Homeless in Gaithersburg, MD. Prior to this position, he provided services for a variety of populations, predominately adults with thought disorder, as a psychiatric hospital social worker at Adventist Behavioral Health in Rockville, MD. 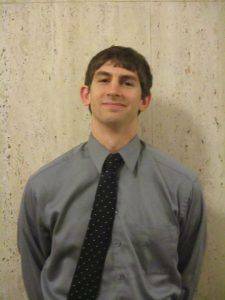 He is a 2013 graduate of Catholic University’s MSW Program with a Clinical Health Concentration. From 2009 to 2010, he served as a Mercy Volunteer with the homeless outreach team of Project H.O.M.E. in Philadelphia. He earned a B.A. in History and Music from Mount St. Mary’s in 2009.